On the following days I will be writing about a set of activities I've been designing to start classes with a positive mood. 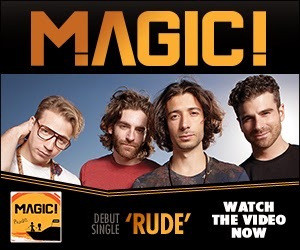 The first activity I will talk about is about the hit Rude by the band Magic. Teachers can play both the videoclip as well as the lyrics because there is no swearing or 'undesirearable scenes for teens'. Pre-listening activity; in groups of 3 or 4 I woud ask students to make up a list with words related to marriage and wedding party. While-listening-activity; Ask student to check the words they saw or listened from their lists. The 'wow' moment for this activity is reserved for the Production Stage. My idea is to separate the class in two groups and ask them to propose the teacher to marry them for the semester or even the year. To do so, they should talk about their strenghts, expectations and what they are going to do to make the relationship work. Lots of fun and creativitity for this first day of class!! !